After weeks of rumors and speculation, Adidas Originals has finally confirmed that two all-new "Static" Yeezy colorways will be launching in the next 10 days. One of the "Static" designs comes in the form of a Yeezy Boost 350 V2, while the other take shape on a Yeezy 700 V2. The Yeezy Boost 350 V2 Static Non-Reflective will be available globally on December 27 for the retail price of $220. The kicks feature an upper composed of white and grey re-engineered Primeknit with a transparent monofilament side stripe woven into the upper. As always, the midsole utilizes Adidas' innovative Boost technology. 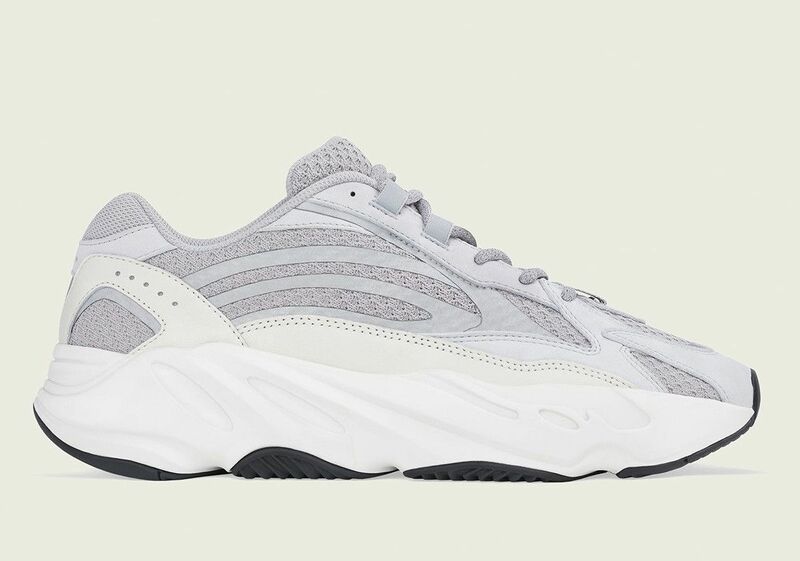 The Yeezy Boost 700 V2 Static will be available globally on December 29 for the retail price of $300. The 700 V2 is built on an upper composed of light grey roller knit and white premium leather and nubuck overlays with reflective details throughout. The full-length drop in boost midsole provides comfort and stability. In addition to those two "Static" colorways, there are also reports of a much more limited "Static Reflective" Yeezy Boost 350 V2. Click here for more information on that pair.